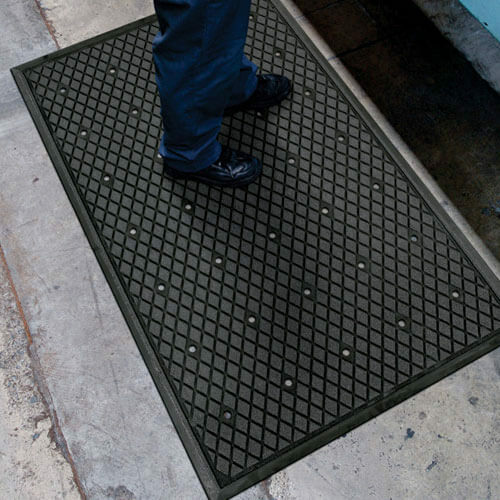 The perfect slip-resistant, grease and oil proof mat for industrial applications in wet areas. The Traction Hog II Diamond Patterned Grit Top provides a slip resistant surface in wet and oily environments. High Density Closed Cell Nitrile Rubber Cushion has 15% recycled content. 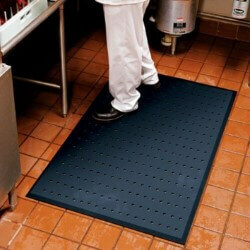 Grease and oil proof, chemical resistant. Welding Safe. 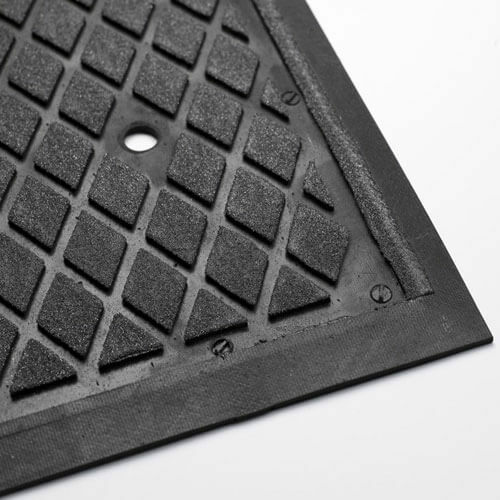 Beveled edges for safe transition from mat to the floor. 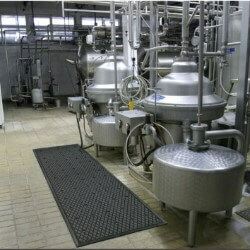 Lifetime anti-microbial treatment to prevent odors and degradation of the mat. Drainage holes allow liquids to flow off the mat. Also available without holes. Backing designed to reduce the movement of the mat even with cart traffic. 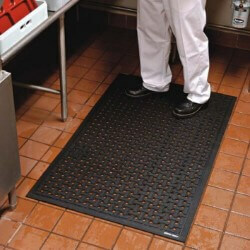 Recommended for kitchens, coolers, freezers and industrial applications Certified Slip Resistant by the National Floor Safety Institute. Production time: 3 to 5 business days. 2. 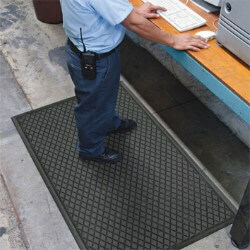 Certified Slip Resistant by the National Floor Safety Institute. 3. Grease and oil proof. 5. Life time anti-microbial treatment. Surface Type: Silicone Carbide impregnated urethane coated on Nitrile Rubber Backing. Backing Typ: Nitrile Rubber (10% Recycled Content) High Density closed cell foam.